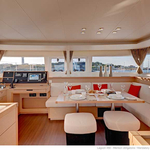 Sailing yacht Lagoon 450 called Tramontane has been manufactured in 2019. 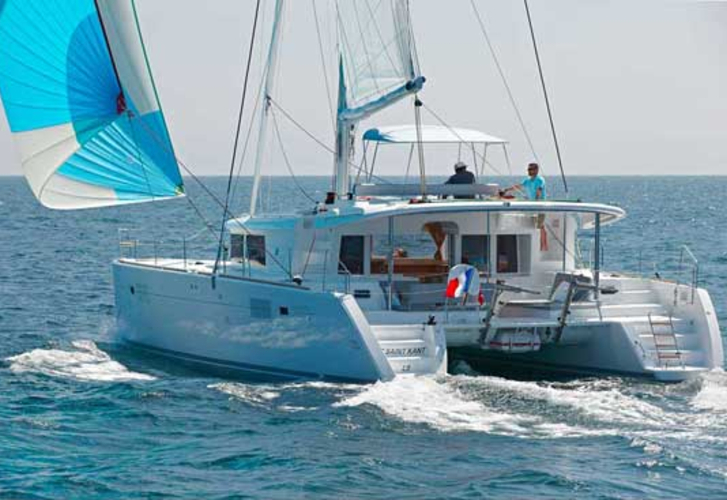 We propose this sailboat from marina Tortola-Parham Town in the region close to British Virgin Islands (BVI). Tramontane is registered for 8 passengers. 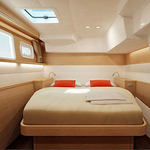 Layout of the yacht is 8. 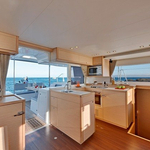 Lagoon 450 Tramontane is equipped with 4 bedrooms. For guests disposal there are 4 bathrooms. You can fill the diesel tank with 1040.00 l l. and in water tank it goes even 700.00 l liters. 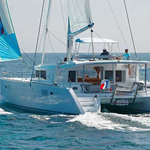 With engine 2 X 57 HP Tramontane can navigate really fast. Tramontane is 13.96 meters long and 7.87 meters wide. Draft is 1.30 meters. 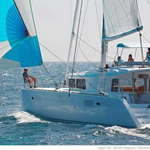 Use our website to find our offer in section: Catamarans Tortola-Parham Town. Deposit accounts for 0.00 EUR. 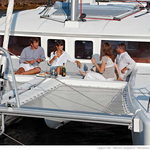 Choose our offer and have good time on the deck of Tramontane. 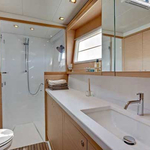 This Lagoon 450 from Tortola-Parham Town from Caribbean Look for over here: Catamarans Caribbean.